Merlin, wisest of men, if you are not a god, it is to you that we want to hold out our scepters and our crowns. Edgar Quinet's Merlin (1860) is an epic masterpiece and one of the first works to revisit the myth of Merlin in the 19th century. In it, Merlin is created by the King of Hell to spread evil on Earth, but his love for the fey Viviane turns him instead into a force for good. Forced to separate from her, the Enchanter wanders the Earth, encountering other legendary figures such as Robin Hood and Prester John before challenging his father and destroying Hell itself. The two lovers eventually reunite for all eternity in mutual imprisonment. In Merlin, Quinet deploys both its mystical vision of love and his political ideal of social justice on Earth. 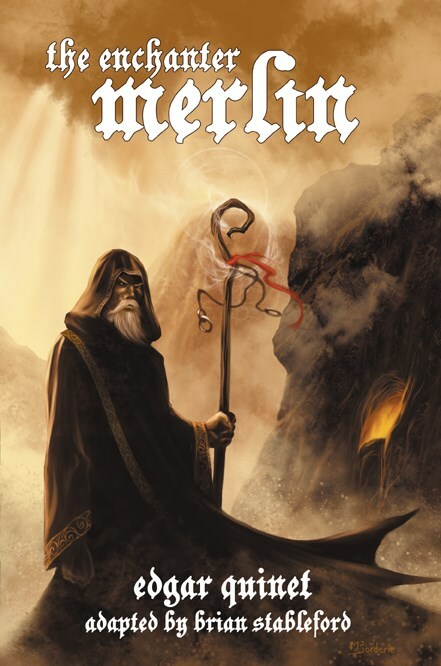 The Enchanter Merlin stands out as a great odyssey, celebrating the journey of a man towards godhood.